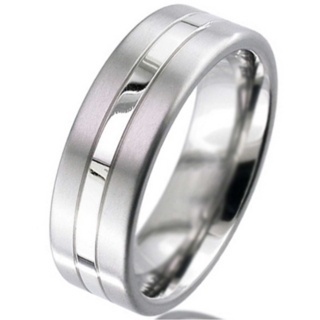 Palladium is a rare and lustrous silvery-white metal that was first discovered in 1803. 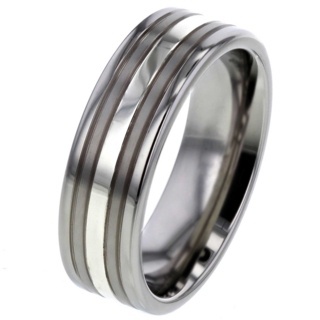 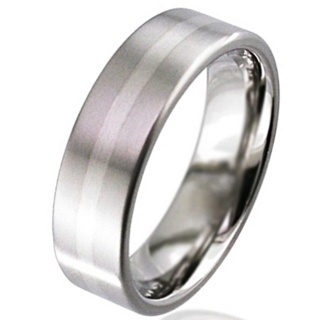 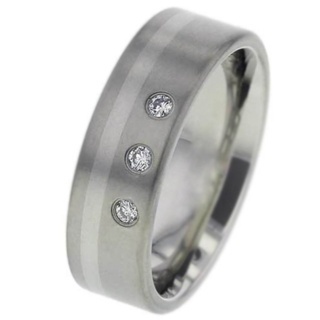 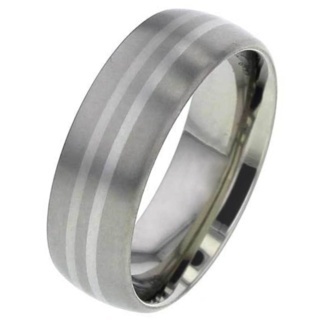 It's tough and hardwearing and perfect as an inlay within a titanium ring, it is naturally quite white so doesn't require any plating. 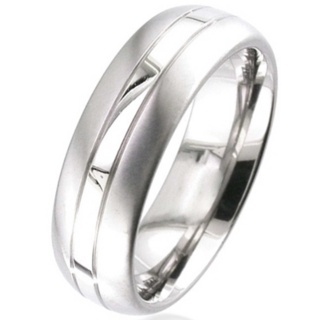 When used as an inlay the striking contrast between the Palladium and the contrasting material make for an inspired and unique piece of jewellery.